McLean County Youth Hockey Association (MCYHA) is a non-profit organization established in 1971 for the purpose of providing a high school ice hockey program for full time high school students living within the boundaries of all school districts in Dewitt, Livingston, Logan, McLean, and Woodford (East of I39) Counties of Illinois. Keep skating and training all spring and summer. Please let Patrick Mahoney know if you are interested in any of these sessions: Patrick Mahoney ( ). Or just show up for the session. 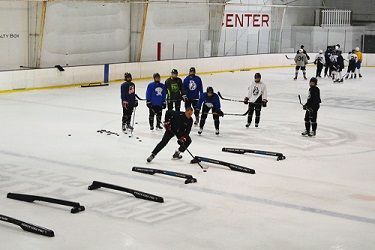 On-ice sessions are $11, please pay before skating. The printable schedule can be viewed here. Pass the Word!!! 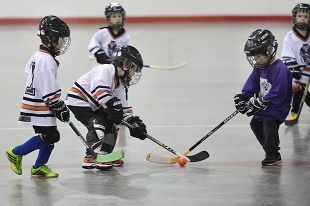 The Sharks are hosting the official Town of Normal Spring / Summer Ball Hockey. The Sharks earn fundraising money on this from the Town of Normal. The more kids who sign up the more the Sharks get. Please pass the word to anyone you know.